I can’t get my students to do their readings before coming to class. Motivating students to do pre-class work is one of the most common barriers we face as educators, regardless of what we teach or where we teach it. And for those of us trying to flip our classrooms, motivating students to do pre-class activities is critical. Flipping gurus, Bergmann and Sams (2012), emphasize there is not one single way to implement flipped techniques, indeed they say “every teacher who has chosen to flip does so differently” (p. 12). 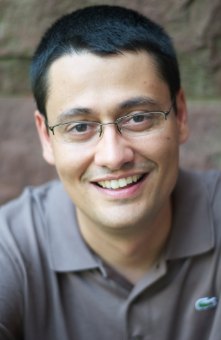 In this post, Turn to Your Neighbor interviews Peer Instruction Network Member, Professor Ives Araujo from UFRGS-Brasil, about how he motivated his students to do Reading Assignments before class and how he measured this out-of-class engagement. Find out what he learned after he flipped his classroom for the first time using Just-in-Time-Teaching with Peer Instruction, and a few other interactive methods. Julie Schell (JS): What was the course context for this exercise in scientific teaching? Ives Araujo (IA): This was an introductory physics (E & M) course at Federal University of Rio Grande do Sul in Brazil. There were two sections of 16 physics majors enrolled, one section taught in the Fall of 2011 and the other in the Spring of 2011. Both sections had only 14 students at the end. This was the first experience these students had with a flipped classroom-type model, they were not accustomed to doing any pre-class preparation. JS: What questions did you want to answer, as an instructor, about implementing pre-class preparation? IA: I knew pre-class activities worked for Harvard students, but I wanted to see if they would work in a very different institutional and social context. I had two basic questions on my mind about requiring these students to do pre-class activities before every class meeting. First, I wanted to know if the students would demonstrate sustained engagement with Reading Assignments throughout the semester, or, if their engagement would taper off after the first few weeks of class. Second, I wanted to know what level of engagement they would demonstrate with the reading assignments, surface or deep? JS: How did you go about trying to answer these questions? IA: I implemented Just-in-Time Teaching and Peer Instruction according to the diagram in Figure 1. Figure 1. Implementation of Just-in-Time Teaching and Peer Instruction. Click image to enlarge. Additionally, for each Reading Assignment, I asked two other questions related to the content. Usually the format of the questions was multiple choice and the students always had to justify their answers through an open-ended response. JS: How did you grade your students on these activities? The course was divided into four areas, accordingly with the content. At the completion of each area, students took an exam. If a student didn’t want to do any Reading Assignments in a single area, I gave the option to not do it, but increased the weight of the exam score. I did not grade ConcepTests but did give them credit for some additional problem solving activities. JS: What did you find? IA: As you can see from Figure 2., students demonstrated sustained engagement with the Reading Assignments throughout the semester. On average, nearly 80% of my students did each Reading Assignment. Figure 2. The percentage of students (n=28) who answered each Reading Assignment (26 total for the semester). Click image to enlarge. JS: And what about the second question, were they engaged in deep or surface responses to the readings? IA: As illustrated in Figure 3., based on my interpretations of student effort, on average, nearly 90% of the students’ submitted answers demonstrated engagement, for example through a justification for a submitted answer, discussion of the content they found difficult, or discussion of the content they found motivating. Figure 3. The percentage of students (n=28) who demonstrated more than surface engagement with Reading Assignment (26 total for the semester). Click to enlarge. JS: Do you plan on continuing asking your students to do pre-class assignments in this way? IA: Absolutely, based on the results above. In addition, feedback from student interviews was generally positive. When asked about the class in general, several students reported that the most helpful experience of all was doing the Reading Assignments. They said the Reading Assignments helped them to develop new study habits. They also mentioned that, in my class, they didn’t have to “burn the midnight oil” trying to learn everything for the exam the day before — on the day before the exam, they just spent time reviewing and they felt prepared because they were already studying along the way. Great interview. I would like to know the experiences of others. I teach a large class of first year students and I find the flipped classroom difficult to implement for various reasons such as measuring this through classroom engagement. I have however implemented online quizzes after each of the reading assignments like Melissa and this has worked well. been given the tools, as I see it, and that is the only way I find I can see id something is understood or not. and 2. they are not quite prepared to put the effort into the required flexibility around the teaching. Some also feel they would no longer be in control in such an environment. Do you think you could discuss those aspects in future articles? How do other teachers deal with students that do not have Internet or only have dial-up at home? Dial-up will not stream the video content needed to view for class..I work in a rural school and this is a very real problem. The other problem I have is this, only 40 – 45% of my students have smart devices. How do you deal with interactivity using devices when not everyone has one. At this time, I am working with students to share their devices with someone that they befriend. I had some similar concerns about getting my students to read, and carefully, prior to class. Right now, I’m using Blackboard to give quizzes on each reading I want done, and it seems to be working pretty effectively, although it’s only been 3 weeks, and it took two for my students to figure out blackboard. However, this is community college, so I’m impressed that they are catching on at all, and now I can only hope they keep it up. If getting students to to pre-reading can be difficult, I wonder what made Araujo’s class a success? His implementation of JITT, the asking of two reflective questions? Thanks Julie for organizing this interview. I have used Prof. Araujo’s process to structure my classes as your blogpost came just when I was about to start organizing my classes for our Semester 2. Figure 1 is great way to visually communicate a process. I would love to find out how Prof Araujo created the diagram! I found Professor Araujo’s article both interesting and informative. For the first time I have begun to implement the flipped teaching approach. After three days the observations and unsolicited feedback of a couple of teachers, and and an educational assistant are positive. In fact, I think I it is important to remind first-timers that it is the “first-time” through the process and to modify their expectations – take it is on themselves. It feels like the process is taking more time, but the students appear to appreciate the ability to have choice. They respond very favourably. This said, there have been many technological problems, and one of the biggest is the lack of students in the classroom with smartphones – 45% have them in class. This is a challenge I am trying to solve. The other significant challenge is working with split classes – Grade 11/12 College English and Grade 10 Academic/Applied stream. The behavioural problems of the Applied students is a challenge as a couple of students – as in their history at my school – are trying to derail the class. This is not specific to the flipped teaching approach, but makes it very challenging. Thank you for your article. I will forward this information to other teaching colleagues interested in flipped teaching. Thanks! I asked Ives Araujo your question – he said that he used royalty from icons from http://www.iconfinder.com and made the connections and the text using OmniGraffle for mac. Great stuff Ives! I think this approach is especially powerful since your evaluation criteria matches so well what you really want the students to do with pre-class readings – come to class with questions in mind, ready to learn!